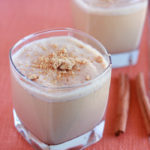 Pumpkin pie spices turn this traditional eggnog beverage into a creamy pumpkin cocktail laced with the flavors of autumn. Some traditions from childhood you never grow out of. 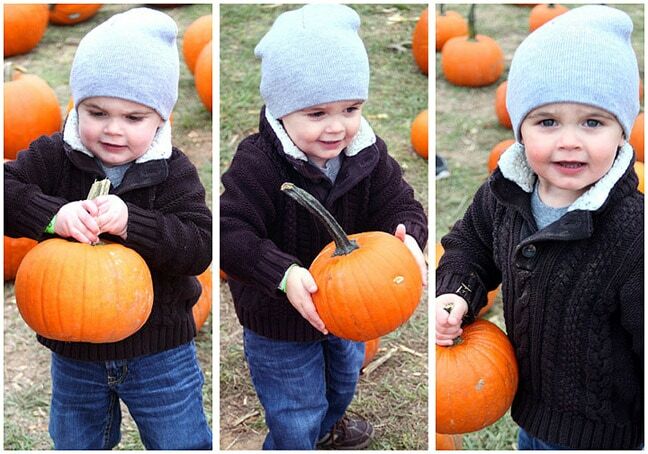 Like picking out that perfect pumpkin right before Halloween. Not quite as important as picking out the perfect Christmas tree, but I would say it’s a very close second. Picking a pumpkin is a bit like picking out a wedding dress. Once you see the perfect pumpkin, you know it. This past weekend The Husband and I started what I hope will become an annual tradition – a visit to the pumpkin patch. Each one of us got to pick out our own pumpkin and what we ended up with looked like something similar to the three bears. The Husband picked out the biggest pumpkin he could carry. I chose a smaller one with good “bone structure,” and Little Tot . . .well, Little Tot tried to bring them all home. Eventually he settled on one he could easily carry, everywhere he went, for the rest of the day and even in the car to church the next morning. The pumpkin from the pumpkin patch is currently his most prized possession. Later that night, The Husband and I opted to carve our pumpkins into jack-o-lanterns. 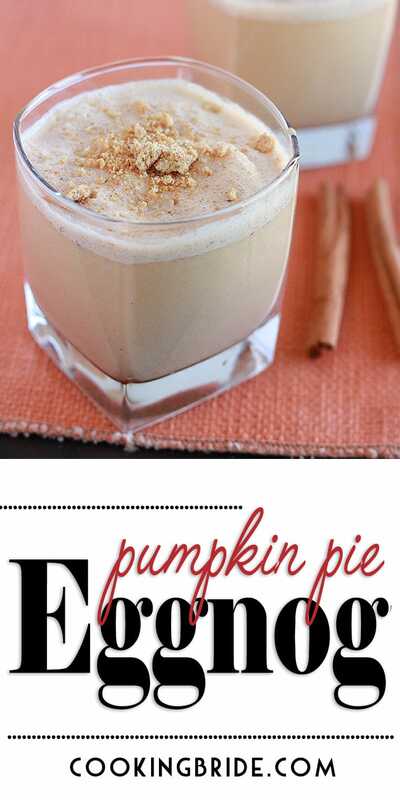 Afterwards, I made a batch of pumpkin pie eggnog. 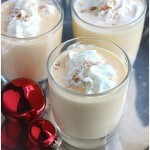 It’s my traditional eggnog recipe from last year, but with the yummy warming taste of fall mixed in. 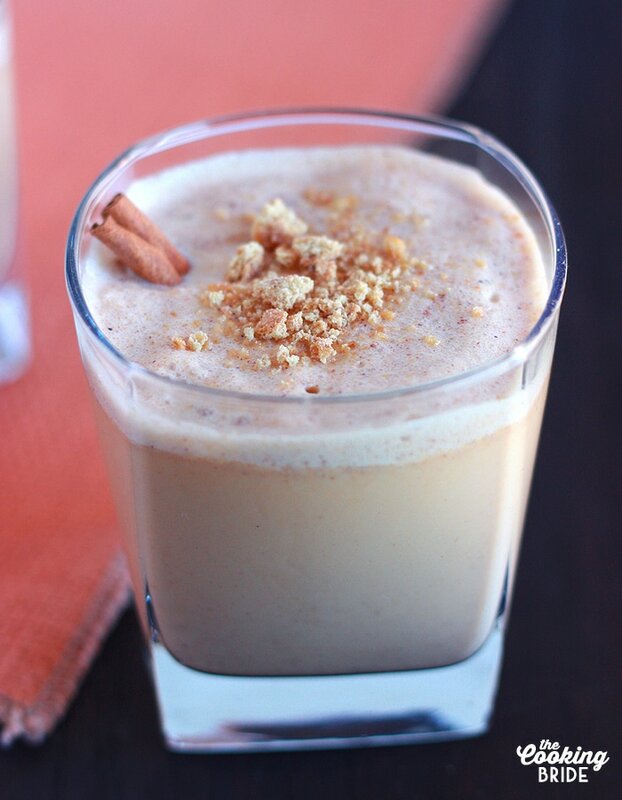 This recipe starts out exactly like traditional eggnog — with raw eggs. I make eggnog from scratch every year and have yet to come down with a case of salmonella. But, I do know that’s a risk of consuming raw eggs. If that’s a huge concern for you, you can substitute the raw eggs for a pasteurized egg product such as Egg Beaters. Replace each egg with 1/4 cup of the pasteurized egg product. 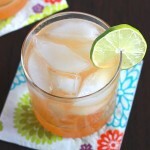 This pumpkin cocktail is so easy to make, you’ll be enjoying it within five minutes. First, measure five raw eggs or 1 – 1/4 cups of egg substitute into a blender. Add 3/4 cup of sugar and process for about 30 seconds to one minute to incorporate the sugar into the eggs. Add one cup of heavy cream and two cups of whole milk to the blender. Next, add a cup of good quality bourbon. You don’t have to spring for top of the line here, but the cheap stuff can affect the flavor (and your hangover). Maker’s Mark, Knob Creek or Bulleit are all good choices. I also like to add some spiced rum. Next, add one cup of pumpkin puree You could use pumpkin pie filling, but I prefer to use pumpkin puree so I can control the spices myself. I like to add ground cinnamon, nutmeg, allspice, ginger, cardamom, and a pinch of salt. Finally, add a little vanilla extract, then give everything a good whir. Keep mixing until all the ingredients are smooth and uniform. Pour your pumpkin cocktail into a glass. 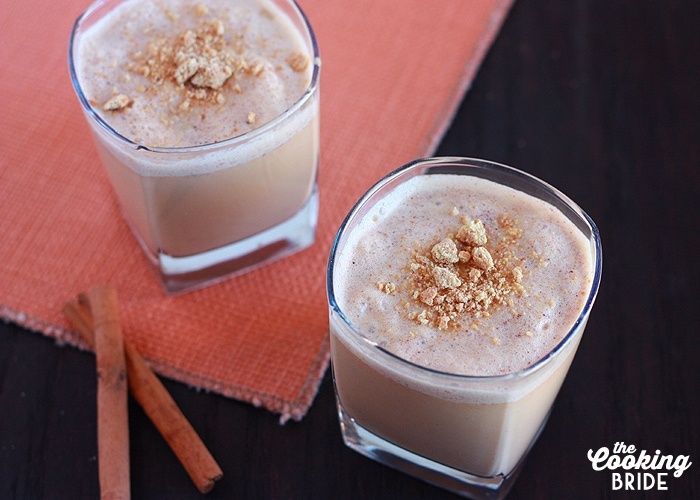 Instead of topping each glass with nutmeg, I decided to crumble a cinnamon graham cracker over the top. Crumbles gingersnaps would also make a delicious garnishment. Be sure to save any leftovers in the refriderator. Add egg yolks and sugar into a blender. Process until combined, about 30 seconds to one minute. Add remaining ingredients. Replace lid and process until smooth. Pour over ice. 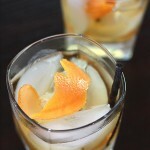 Garnish with crushed graham cracker if desired. 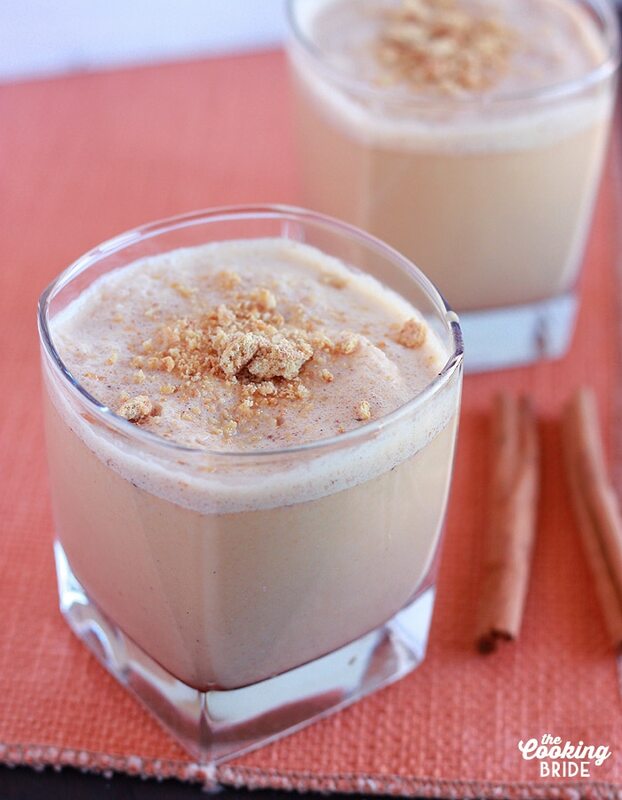 Store leftover eggnog in the refridgerator.